Asim, gay and 19, is ready to bust out of his rundown steel town, Lackawanna, N.Y., for the University of Michigan. Even the cherished family business — a movie house called The Bethlehem — and its nightly dose of celluloid dreams no longer captivate him. But the bright future he envisions is turned upside down when his father dies and leaves him with the keys to the theater and the job of caring for the old man’s Russian lover. As if he needs another problem, he discovers that his brother Tarik is headed off to some kind of training camp in the Afghanistan desert, and when he returns, he ensnarls Asim and others in a dangerous fanaticism that peaks on September 11, 2001. I found this book by accident at the library. 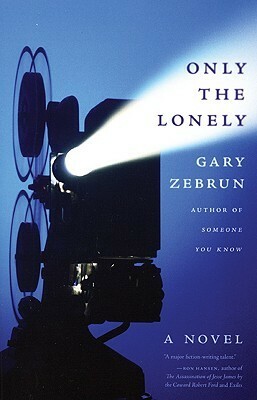 Its title and the blurb on the back that mentions three people bound together by their love for movies caught my eye. There is Asim, a 19-year-old gay man, who wants to leave Lackawanna, NY to attend college. His father, Badru’s, death and final wishes prevent him from doing so. There is Sonia, Badru’s longtime mistress, now sick with Parkinson’s disease and a failing memory. There is Asim’s brother, Tarik, who is a Muslim extremist and alienated from his family’s “heathen” ways. And then there is Billy, who drinks at the pub across the street from the theater and falls for Asim. The story is told in flashbacks and jumps back and forth between characters. Sonia and Asim are especially well-drawn, both of them lonely and seeking escape in movies. This grim family situation is set against the backdrop of a bleak industrial town with its decaying movie theater, dingy pubs, neglected buildings, and old memories. I knew this was going to be a sad story. I just didn’t know it was going to be so unremittingly depressing.